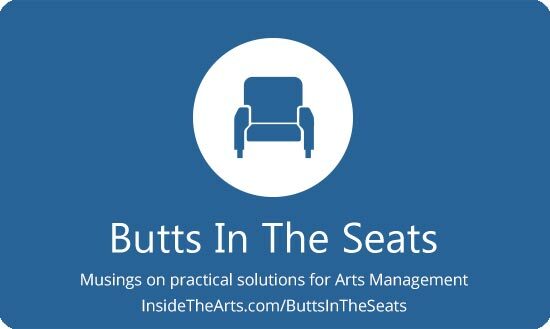 When I read a post on Marginal Revolution blog about high end stores hiding cash registers in favor of roving sales associates with mobile checkout devices, I immediately wondered if there might be some type of benefit in eliminating or diminishing the physical box office for the arts attendance experience. As such this is largely an intellectual exercise. I don’t pretend to have thought through all the benefits and repercussions. Tyler Cowen makes the following observations about the Wall Street Journal article that described this retailing practice. There seemed to be an idea that not having to stand in line was one element that gave online retailers a competitive advantage. Positioning staff to socialize with customers and get to know them better is definitely a plus for arts organizations. I did see a couple factors that would make it difficult to replicate the experience of a retailer. First, unlike retailers, people are looking to make a purchase the moment they walk through the door at an arts event. On the other hand, the fact that many may have already purchased tickets in advance means that when service reps aren’t busy they can engage patrons in conversation in a manner they couldn’t behind a ticketing desk. Second, the physical design and experience of performance spaces means a person is likely to have to stand online at some point- getting in/out of the theater, buying food at concessions, getting out of the parking lot. In terms of benefits for performing arts environments, one of the first applications I thought of was for admission to outdoor music festivals. Since people people often queue up early, roving sales people can allow the people who showed up at 3 am stay at the very head of the line without needing to pass through the box office position. Multiple delays can be avoided if people are able to purchase tickets while waiting to pass through a security checkpoint, rather than waiting on the ticket line and then the security line, etc. When the sales experience is designed in this way, those who know what they want aren’t held up in line behind people who are debating the relative benefits of different seating arrangements. This can also help further physically separate the will-call line from the purchasing line. It would probably be best for cash sales to occur at a physical box office since staff pocketing thousands of dollars while wandering the lobby is both awkward and a huge security risk. There might be some issues if the wifi signal carrying credit card authorizations wasn’t secure, but on the whole a larger number of cash less transactions and mobility of technology can eliminate the annoyance of yelling through plate glass to buy tickets. Now, of course, this requires a certain level of technology. In order to sell tickets in this manner, a sales person would have to have access to a small printer they could carry around that printed a sales receipt and slips of paper the purchaser could use for admission. Or a small kiosk/pedestal nearby that they could retrieve the receipt and tickets from. You wouldn’t necessarily need large monitors mounted in the lobby if the roving ticketing staff could check ticketing status on a tablet computer and point out available seats on it or a printed seating chart. Any insights, inspiration or concerns about this idea? The only places I see ticket queues are at movie theaters, either because movie-goers are impulse purchasers or because the Fandango site is terrible (I don’t use it, so I wouldn’t know). The only queue I’ve waited more than 2 minutes in was for a theater broadcast shown in a movie theater. They had only 2 staff on hand: one at the ticket booth and one taking tickets (they hadn’t even opened the popcorn booth, which is the usual money-maker in movie theaters). I believe that the ticket seller became the projectionist. Increasing staff to do roving ticket takers is definitely a non-starter in that case. Huge events with large walk-up attendees (County Fair, Maker Faire, … ) may benefit from sales along the line to get in, both those events usually have multiple ticket windows that are easily found and where the queuing process is reasonably fair. Roving ticket sellers would result in substantial resentment (why did that person get served before me?) and immense opportunities for fraud. The idea in high-end stores is that you are charging a lot extra for luxury service, which means that a high retail labor cost is built into what you are selling (the products are not much better than the low-end stores—it is exclusivity and personal service that is being sold). Unless your events are very snooty, the labor costs of personal ticket sales isn’t going to impress your audience, who would rather the money were spent on paying the performers. If you are looking to increase personal service, valet parking would probably be valued more than personal ticket sales. It’s visual arts, but I recommend checking out what Area360 did with The Broad’s ticketing. Are you talking about their online standby system? I couldn’t check out their reservation system because all their tickets are sold out through the end of May and they aren’t accepting reservations past that. The on-site experience. They borrowed the Apple model and do not have a front desk. Staff walk around with iPhones and small printers clipped to their belts or on a shoulder strap. Ah that is cool. Someone has already started to implement the idea in the arts world. I had considered a fine arts setting and had forgotten about the type of volume special exhibits attract. It also just occurred to me that if The Metropolitan Museum of Art is going to further commit to underscoring their suggested admission policy, roving staff who explain the policy and accept donations may fit into this philosophy. My suspicion is that being New Yorkers, they are bristling a bit about the recent settlement of the class action suit and they probably aren’t going to take too many more steps to call attention to the fact you can pay whatever you want. I would suggest that the big difference between a retail store and a performance is the time deadline. Going to a store, you have as much time as you have to shop and decide. Going to a performance, the show begins at a set time and therefore, everyone wants to purchase at the same time, if they are walk-ins. Lines and waiting are part of experience, easily solved with online advanced purchase, which I’m assuming if the organization is advanced enough to consider an individual sales force, they have online tickets available already. I would agree – I think there are certain environments in which this type of model would work well, specifically large seated venues with reserved seating, and different price levels for seating areas. In a box office that has daytime hours, especially venues/art forms that cater to a more traditional theatre-going crowd, this kind of personal interaction, providing service for someone who has options, and time to consider them, is great. But when you’re up against a deadline, inevitably the best way to provide efficient customer service is in a very structured environment where patrons aren’t really given the opportunity to ‘waste time’ by walking around or having a conversation. I’m thinking of my experience working the Edinburgh International Festival – serving a mostly older crowd who still liked to purchase in-person – versus at a live music venue where the goal was to process the door sales queue as quickly as humanly possible! When I was working at the National Theatre in London a couple of years ago they were exploring this model. At first it consisted of FOH staff roaming the lobby in front of the box office desk directing people who had prepaid to collection kiosks. It soon evolved into FOH carrying ipads which pulled up reports on seat availability and VIPs. I know the plan was to move fully to roaming staff with the ability to book tickets with credit cards and print at a nearby shared printer. 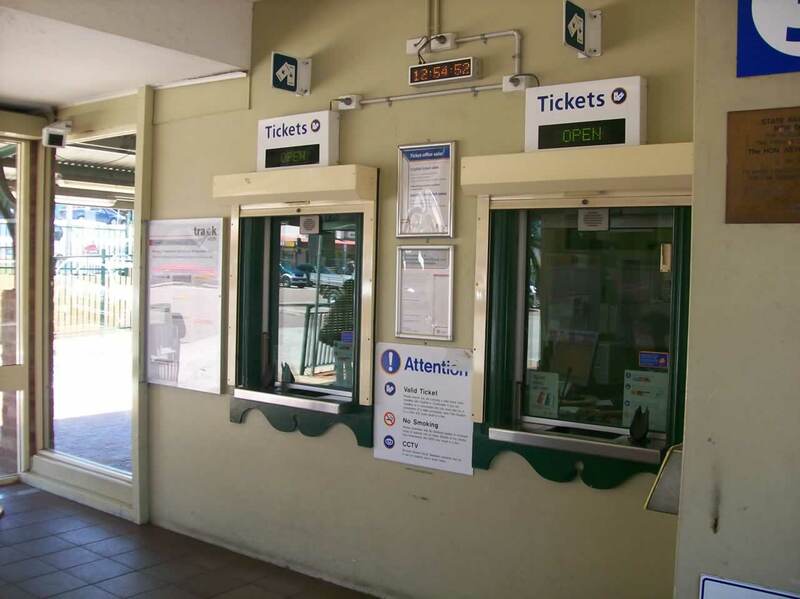 The ticket desk would still exist so that customers always had a focus and the FOH staff could either intercept customers on their way there or pick out people from the queue. The comments on this post are really great. I am glad to see some groups are already moving in this direction. One of the scenarios I envisioned as I was writing was the large number of movie theaters that have been renovated into performance spaces. A lot of them have strangely shaped lobbies that may not accommodate a box office in a convenient position (for example, in a place out of the rain) so roving sales people or operating off a small pedestal desk would be a good option.